This edition updates and extends the previous "revised edition" which was originally published in 2008. It is completely revised with updated plant names, over 250 additional species, and rewritten and expanded plant descriptions incorporating more detail in many cases. Two versions of the book are available - the normal soft cover version (complete with protective clear plastic sleeve), and the limited edition hard cover version. 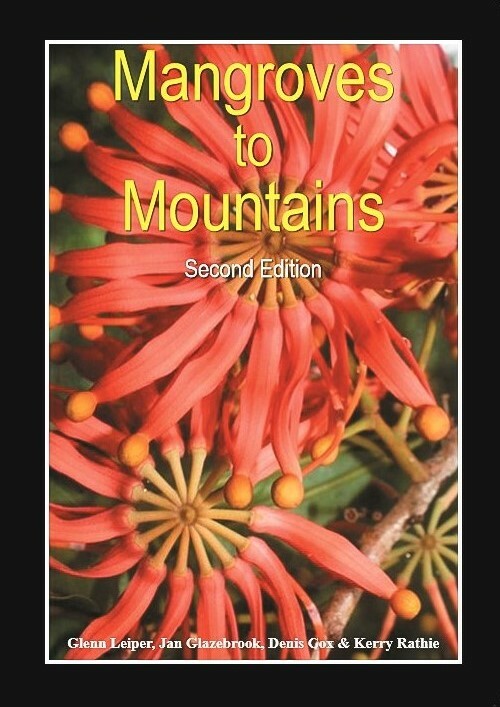 "Mangroves to Mountains" is a 576 page full colour field guide, ideal for identifying the native plants of south-east Queensland and northern NSW and is the most comprehensive for the region. But the area of coverage extends further north and south because many of the plant species covered are not just limited to south-east Queensland. Approximately 2450 species of plants are covered, most with colour photos, and each having a description that includes plant size and form, leaf details, flower and fruit details, time of flowering, and some relevant information such as edibility, or whether it's a threatened species. There are also illustrations to accompany some species. It now provides comprehensive coverage of the region's orchids, gum trees, wattles, mistletoes and flowering rainforest trees, shrubs and vines, as well as an increased number of species in the other habitat types. To aid in its usefulness as a field guide, the book is divided into 7 habitat types: tidal wetlands, dunes and headlands, freshwater wetlands, eucalypt forests, rainforests, coastal heath, and montane areas. There are also chapters detailing all known gum trees (eucalypts and close relatives) and mistletoe species for the region. Within each chapter, flower and fruit colours are grouped together, and then within these colour sections, the tallest trees are detailed first, then shrubs, herbs, ground covers and vines progressively. The authors, Glenn Leiper, Denis Cox, Jan Glazebrook and Kerry Rathie, are native plant enthusiasts, with many years spent bushwalking and exploring the region. 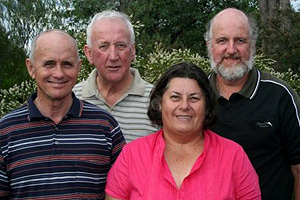 They are all members of the Logan River Branch of the Society for Growing Australian Plants (SGAP). Glenn Leiper photographed most of the plants in the book over the past 30 years, but there are also many contributing photographers, including noted rainforest experts Hugh and Nan Nicholson, nature photographer Gunther Schmida, and botanists Lui Weber and Mike Mathieson.